What are your goals for the WR48 season: I hope to make it to all three stops and enjoy competing against the best players in the ladies game. Of course, I would love to win the race in its maiden year! How do you prepare for Race events: I prepare for all tournaments in much the same manner, maintaining fitness levels and getting in some training games in advance of the trip. Once at the venue, I like to relax in the days leading up to the tournament, while adjusting to the ball and courts. What do you love about handball: I love the constant challenge that handball presents. It’s a tough sport, and sometimes a cruel one, but I really enjoy both playing and spectating due to the high skill levels involved. The handball community is a very tight knit one, and I’ve made many friends through the sport, both at home and overseas. The fact that it is a GAA sport here in Ireland, and yet has such strong international links, really appeals to me. Who has inspired you to play this game at such a high level: I think I was lucky that Tony Healy came from my home club. As young players, we naturally looked up to him, and saw the rewards that could be reaped through dedication and commitment. Who do you think is the best men’s and women’s player of all time: It’s always tough to compare players of different eras. I believe Tony Healy and Ducksy Walsh have legitimate claims, but taking results in to consideration, the record feats of Paul Brady and Fiona Shannon on the national and international stage speak for themselves. Catriona Casey named WPH 2013 Breakout Star! Catriona Casey started 2013 as the best player most people had never seen. 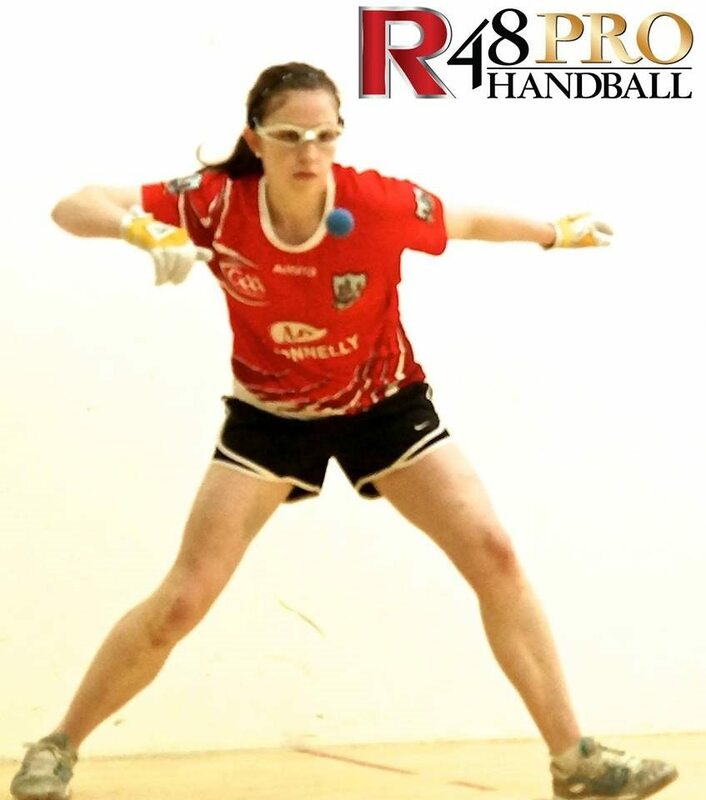 She ended the year as the Women’s Senior All-Ireland Champion and the Women’s Simple Green U.S. Open Champion and one of the most intriguing handball players on the planet. Casey dazzles with her incredible two-handed shot making and seemingly effortless approach to a highly complex game. Casey will aim to add to her already impressive resume by competing on the WPH Women’s Race 4 Eight Tour in 2014. Casey won the first of three 2013-2014 Women’s Race 4 Eight events at the Simple Green U.S. Open and will be striving to win Stop #2 at the New York Athletic Club February 28-March 2nd. “I have never seen a player like Catriona. Catriona’s matches are must-see webcasts and events. She combines perfect form with unparalleled shot selection and she makes it all look so easy,” revealed WPH broadcaster David Fink.